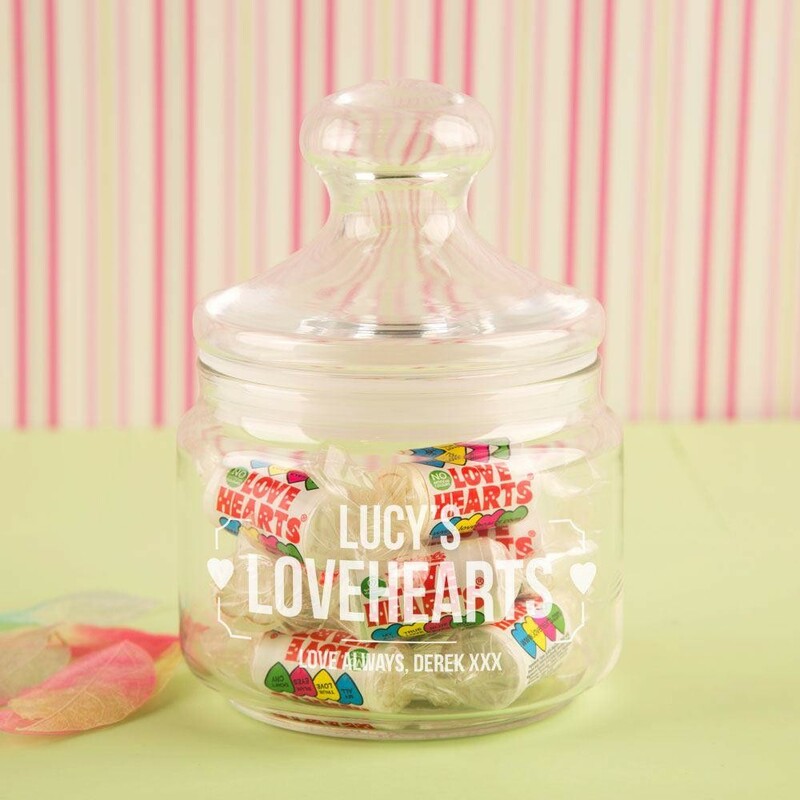 A retro sweet jar makes the perfect gift for the other half on a special occasion! 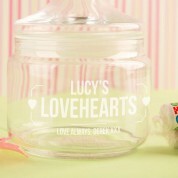 Our sturdy glass jar comes personalised with the recipient's name and “love hearts” in a bold font. 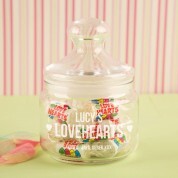 The design is made complete with two hearts framing the text. There is even room for a short with love message, making this a truly unique keepsake. 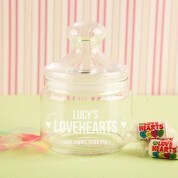 Fill it with her favourite heart sweeties and present it to her on Valentines day or Anniversary. All designs, personalisation and engraving are done in house by our production team to ensure the best quality is delivered to the customer.